Vice President of Platform Services at Automattic/WordPress.com VIP. Code For The People is a six-person WordPress development agency based in the UK, known for their great service and the enterprise tools they’ve created. Automattic has acquired them and will be winding down the consulting part of their business as they join our WordPress.com VIP team to continue building the best tools and services for enterprises using WordPress. We’ve worked very closely with Simon Dickson, Simon Wheatley, and the rest of the Code For The People team in recent years as partners collaborating on projects for our mutual customers, and before that through their many contributions to the WordPress open-source project and community. They bring a deep understanding of WordPress, unique experience providing solutions for government agencies, and a particular specialty developing multilingual tools, like Babble, for enterprises. We also really appreciate their commitment to contributing back to WordPress, and are excited to have John Blackbourn continue leading the development of WordPress 4.1 as part of Automattic. And while Automattic has always been a distributed company, and WordPress.com VIP a global team, we’re excited to expand coverage for our European customers as well. Congrats to the team, and welcome to the Automattic family! We’re excited to share the news today that Janrain, Shoplocket, and Storify have all joined our Featured Partner Program. Now nearly 30 partners strong, the Featured Partner Program helps WordPress.com VIP customers work seamlessly with other technology providers to make their WordPress websites best-of-breed. We’ve worked closely with our friends at Janrain, Shoplocket, and Storify to integrate their services directly into our WordPress.com VIP platform, and provide a one-click activation experience for our users. And because we’ve done deep testing and code reviews on each integration, you get the same level of performance, stability, and security that you’ve come to expect from WordPress.com VIP. MediaPass, a WordPress.com VIP Featured Partner, offers one of the best digital subscription solutions on the market. 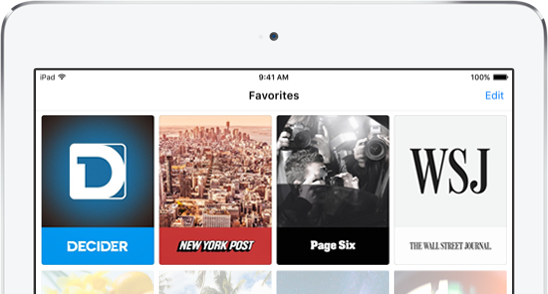 They’re continually adding new features to optimize the publisher experience, and in two weeks will be releasing some major updates for VIP users. To kick things off, MediaPass is hosting a demo exclusively for WordPress.com VIP customers, partners, and friends—if you’ve ever considered increasing your web property’s total monetization by incorporating paid subscriptions, now’s the perfect time to give MediaPass a try. Join us on October 4th from 10am – 11:00AM PDT for a free demo hosted by the MediaPass and VIP teams. Can’t make it? Make an appointment with Rob Leon, VP of MediaPass Publisher Development by selecting any open slot on this calendar. Today Atlantic Media launched their new digital-only business publication—Quartz—right here on WordPress.com VIP. The site is designed with mobility in mind, and to that end, features a responsive and mobile-first approach that is easily accessible from your desktop, tablet, or smartphone — all delivered by a single WordPress site, no app required. Earlier this year, we introduced a new partnership program where we’re working with technology platforms to integrate their services into our WordPress.com VIP platform, connect them with our VIPs, and collaborate to support the integration and provide a seamless experience for our users. Some of the world’s biggest brands and publishers rely on WordPress.com VIP, and every day we connect our VIPs with top service providers for their WordPress development and design needs. That’s why today we’re announcing the expansion of the Featured Partner Program to include interactive agency partners as well: 10up, Alley Interactive, Code for the People, Doejo, Human Made, inSourceCode, Oomph, Range, and Voce Communications are all joining as partners. In addition to our agency partners, Facebook, Flipboard, PostRelease, Tinypass, and Zemanta are now a part of the program as well. “As a team that relies heavily on WordPress, we have worked closely with Automattic and the WordPress.com VIP team to leverage their SaaS Hosting solution for the most demanding publishers in the world,” said Nick Gernert, SVP of Platforms for Voce Communications, a Porter Novelli company. If you’re an interactive agency or technology platform and would like to apply for our Featured Partner Program, please get in touch. The plugin is built-in to our WordPress.com VIP platform and can be seamlessly enabled on any VIP site. It’s also available for download for self-hosted WordPress sites as well. Interested in WordPress services for your enterprise site, or integrating your WordPress plugin with an enterprise audience? Get in touch.